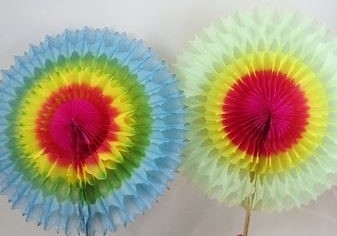 These tissue fans are dyed in almost every color! They are in bags of 6 fans. We will make sure that none are exactly the same! They open up with wood stems and are very festive!